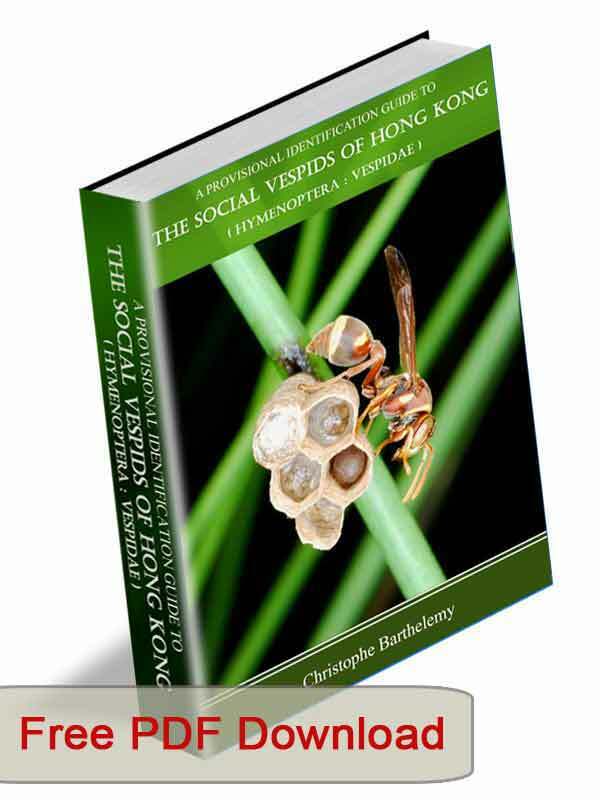 In the following pages you will find pictures of various species of Insects present in Hong Kong. Information on each species will be added gradually. Additionally, as time permits, documentation on Arthropods, Plants and Fungi will be inserted. The purpose is to share knowledge and promote understanding of the biology of these fascinating creatures. This is a site under constant construction, content, format and other technicalities will be amended as time goes by. All pictures on this web site are copyrighted (�). They can be copied for non-commercial purposes as long as the author(s) is mentionned, as it is required by law but also out of courtesy to the photographer(s).